Even the best decisions we make come with a bit of anxiety. 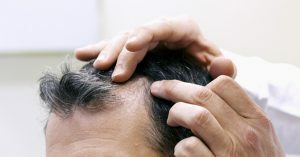 If you’re looking for a solution to hair loss or thinning hair, you’ll find it at RHRLI. We offer a state of the art robotic hair restoration procedure called the ARTAS® System. It is the most accurate procedure out there and we think it’ll be a decision you won’t regret. But we understand that any decision to have a hair restoration procedure isn’t entered into lightly. You will likely have questions and you should have as much information as possible. So RHRLI wants to let you know about the first steps that are taken before you get a hair transplant. We want to help you with these tips on preparing for the procedure. The first step in preparing for the procedure, called Robotic Follicular Unit Extraction (RFUE) is the consultation. RHRLI offers a warm, comfortable environment and we’ll be happy to explain how the ARTAS® System works. You’ll also meet our board-certified surgeon Dr. Baiju Gohil who sits down with all of our hair transplant patients. Dr. Gohil will design a customized treatment plan for you. He’ll answer any of your questions and also put any concerns you may have to rest. All of the technology RHRLI uses is FDA approved and Dr. Gohil has been practicing for more than a decade. He’ll explain how the ARTAS® System uses robotic technology to find and transplant hair in as precise and painless a manner as possible. Once you understand how the procedure works and all of your questions are answered, you can schedule the hair transplant. According to patient information provided by ARTAS®, you’ll be able to wear any hairstyle you want once the procedure is over because RFUE requires no stitches and won’t leave any scars. However, you will be required to have a very short haircut on the day of the procedure. It’s often recommended that patients cut their hair shorter in stages rather than all at once in order to make the change less noticeable. Some salons are familiar with the type of haircut needed for the ARTAS® procedure. Some additional trimming may be done here at RHRLI on the day of transplant. Ultimately, the desired length of the hair in the back of your head where the donor area will be located is going to be 1 millimeter on the day of the procedure. That hair usually grows back to blending length by the day of the procedure. The transplant will take several hours, so it’s a good idea to wear comfortable clothes. You should also bring a loose fitting hat to wear home. You might want to consider bringing music or a movie to watch since you will be awake during the procedure. A local anesthetic will be used and there will be breaks so you can have meals and take care of personal issues. RHRLI wants you to feel completely at ease with your procedure, so we hope that this information will give you a better idea of how RFUE works. We’re the only hair restoration treatment center on Long Island that uses the ARTAS® system and we want you to understand why it’s the best way to find a permanent solution to your hair loss. To get started, contact RHRLI today. Previous Post: « What is Anagen Effluvium?